A Clip from Twilite Orchestra's "Simfoni Negeri Untuk TNI Patriot Kita" concert, November 24th 2018. Twilite Chorus, PSM Universitas Tarumanegara, Perbanas Institute Choir, PS Gita Swara Jaya. ​Mixed & Mastered @ArtSound Studio 3 by Aryo Seto. A Clip from Shanghai Philharmonic Orchestra's "Fundraising Concert for Palu & Donggala", November 15th 2018. A Clip from Jakarta Sinfonietta Orchestra's "Young Steinway Artist Gala Concert", October 7th 2018. Kidung Nusantara was composed by Edbert Gian Suyatno on March 2017. 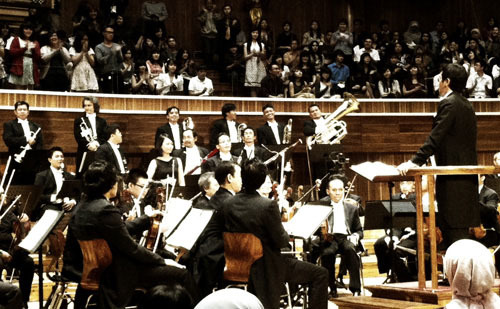 This is the first Indonesian big orchestral work he had composed ever. 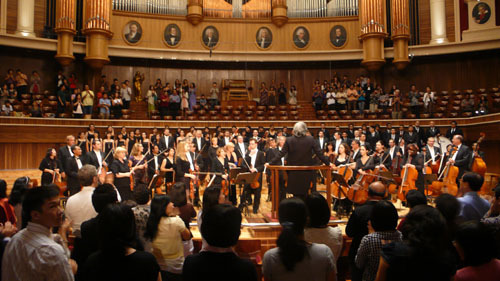 Pentatonic scale is the one reason why this orchestral work is special. Almost in every part use pentatonic melodic motion to represented the etnic spirit and traditional dance atmosphere. In this work there were many modulations, even there's a pentatonic fugue in the beginning of this piece. ​Recorded Live @ ArtSound Studio 1 by Aryo Seto & Hardi. Twilite Orchestra - Mars TNI. Recorded by ArtSound Mobile Recording Team. Twilite Orchestra - A Tribute to John Williams; The Star Wars Concert. Cuplikan konser Twilite Orchestra "A Tribute to John Williams", menampilkan musik film Star Wars, Superman, Harry Potter, Jurrasic Park dll. Sehari sebelum konser ini, kami mengundang murid-murid dari 10 Sekolah Dasar di Jakarta sebagai bagian dari program edukasional kami sejak 18 tahun yang lalu. @ Aula Simfonia Jakarta, 19-20 February 2016. Mixed & Mastered by Aryo Seto @ ArtSound Studio 1 & 3. Videography by Piet Kalalo Sengkey @ P-Production. Twilite Orchestra - Yamko Rambe Yamko (Flash Mob version). Dalam dua video ini, duo soprano Aning Katamsi dan Binu Sukaman menyanyikan lagu Tanah Air & Flower Duet diiringi Jakarta Philharmonic Orchestra, dengan Yudianto Hinupurwadi sebagai conductor. Musik diaransemen oleh Marthin Tupanno, dan dimainkan oleh rekan-rekan profesional. Choir oleh Impromptu Singers++, diaransemen oleh Marthin Tupanno. Princess, girlband garapan Kevin Aprilio dengan single barunya "Jangan Pergi". 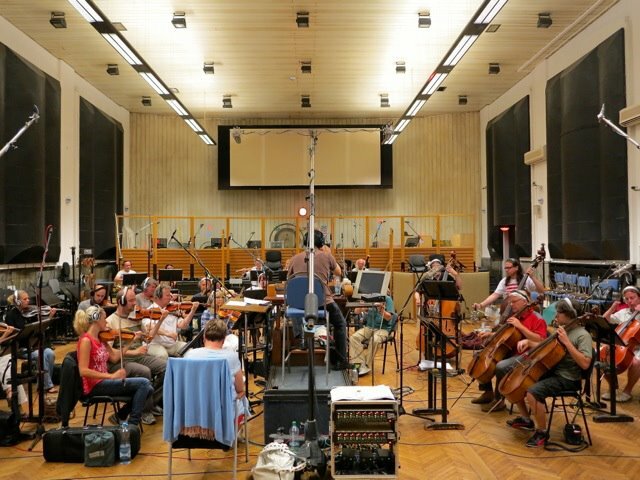 Agak berbeda dengan lagu-lagu girlband lainnya di Indonesia, "Jangan Pergi" dimeriahkan oleh strings arrangement garapan Addie MS, dan dieksekusi oleh pemain-pemain dari Twilite Orchestra.